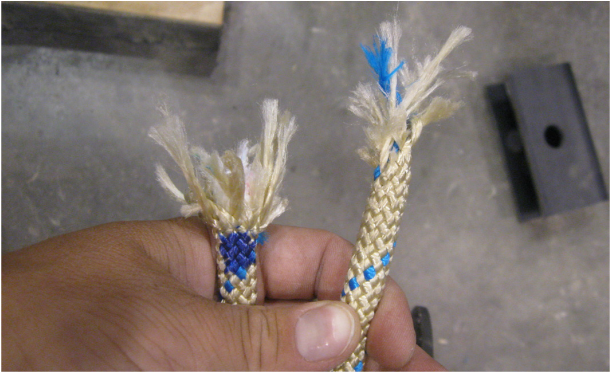 New 11 mm Bluewater II static nylon rope broken using a slow pull and round bollards on both ends. Join our mailing list by clicking here for updates and rescue research. Please check your email address carefully if you use the form to ensure we can respond to you promptly, or click the envelope button on the upper right to send us a direct email.